Welcome to DanceWatch for April. Last year at this time, I was in Japan, and everywhere you looked there were cherry trees with cascading pink flowers, and countless people posing for photos beneath them. In Arashiyama, a district on the outskirts of Kyoto, spring celebrations were in full swing. The Hozu River, which runs from the mountains down into Kyoto, is lined with cherry trees. Large families with young girls dressed in colorful kimonos were strolling in the warm air along the banks, taking pictures under the trees, shopping, eating ice cream, and socializing late into the evening. It was idyllic. Until that time, I don’t think I had ever experienced spring in quite this way before. The slower pace, the appreciation of nature, of the season, of family and tradition; it was all so beautiful, it made me euphoric. I offer you this month’s performances as an embodiment of this experience, and of spring. April’s dance performances are full of new life, fresh ideas, and boundless energy. Enjoy! Bharatanatyam guru Shubha Dhananjay and daughters Maya and Mudra channel the divine in “Srinivasa Kalynam.” Photo courtesy of Yashaswini Raghuram. Award-winning Bharatanatyam dance guru Shubha Dhananjay, artistic director of the Bagalore, India-based classical dance institute Natyantharanga, choreographed the work, which features lyrics by her late father, N. Narasimhaiah, and music by B. R. Hemanth Kumar. Dhananjay and her daughters, Maya and Mudra Dhananjay, will travel from India to perform the piece with Portland artists Radhika Narayanan, Prathibha Nandagudi, Mini Jairaj, Janaki Kolady, and Yashaswini Raghuram, as well as students and teachers Radhika Narayanan, Chitra Sridhar, Sridharini Sridharan, Sweta Ravisankar, Anita Menon, and Yashaswini Raghuram. Immerse yourself in 5,000 years of Chinese culture with Shen Yun Performing Arts, Photo courtesy of Shen Yun. The Shen Yun Performing Arts troupe was formed in 2006 by a group of artists and Falun Gong practitioners in New York City in response to the Chinese Cultural Revolution; the production explores Chinese culture through dance, music, and storytelling. This large-scale touring production, which has run afoul of the Chinese government by criticizing it, features folk dances from China’s many different regions, an orchestra that combines Western and ancient Chinese instruments, and singers performing in bel canto style. The Shen Yen blog shares personal stories of the dancers on the road, and gives audiences a glimpse into the inner workings of the production. Student flamenco dancers share what they’ve learned in a performance showcase. Photo courtesy of Laura Onizuka. Beginning to advanced student performers celebrate flamenco’s cultural cross-pollination through singing, dancing, instrumental music, hand clapping, and finger snapping. The show is produced by Portland Flamenco Events, which offers classes, workshops, performance opportunities, and guided trips to Spain. “Tenali,” a new Northwest Children’s Theater production, features Bharatanatyam choreography by Anita Menon. 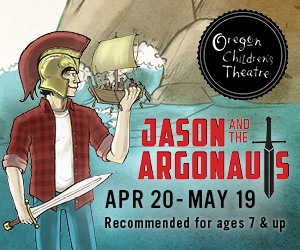 Photo courtesy of Northwest Children’s Theater. Northwest Children’s Theater and School, 1819 NW Everett St.
Playwright Avantika Shankar has created an original script based on the tale of Tenali Ramakrishna (or Tenali), an Indian poet and counselor in the Indian court of King Krishnadevaraya. When the king’s prized crown mysteriously disappears, everyone in court is a suspect, and Tenali must match wits with rival ministers, courtiers, and palace guards to find the missing headpiece. Anita Menon contributes Bharatanatyam choreography; children and adults perform, accompanied by South Indian Carnatic music played live. Send in the clowns! Imago Theatre remounts “To Fly Again.” Photo courtesy of Imago Theatre. Imago Theatre, 17 SE 8th Ave.
Creatives outside of the dance world choreograph pieces for BodyVox in the Pearl Dive Project. Photo by Michael Shay. Because they wondered what would happen if creatives outside of the dance world choreographed pieces for their company, BodyVox artistic directors Jamey Hampton and Ashley Roland created the Pearl Dive Project in 2016. This year’s newly minted dancemakers include Toro Bravo chef John Gorham, illustrator Matt Mahurin, Nike designer Ryan Noon, sci-fi author Daniel H. Wilson, photojournalist Susan Seubert, and painter Sherrie Wolf (who comments in the promo video, “You never know when you do something different where it will take you, but it always changes you in some way.”) The project also includes a new dance made of movement that viewers performed in a video booth at past BodyVox concerts. The Field Network Conference will include a performance by Sarah Brahim. Photo courtesy of Sarah Brahim. 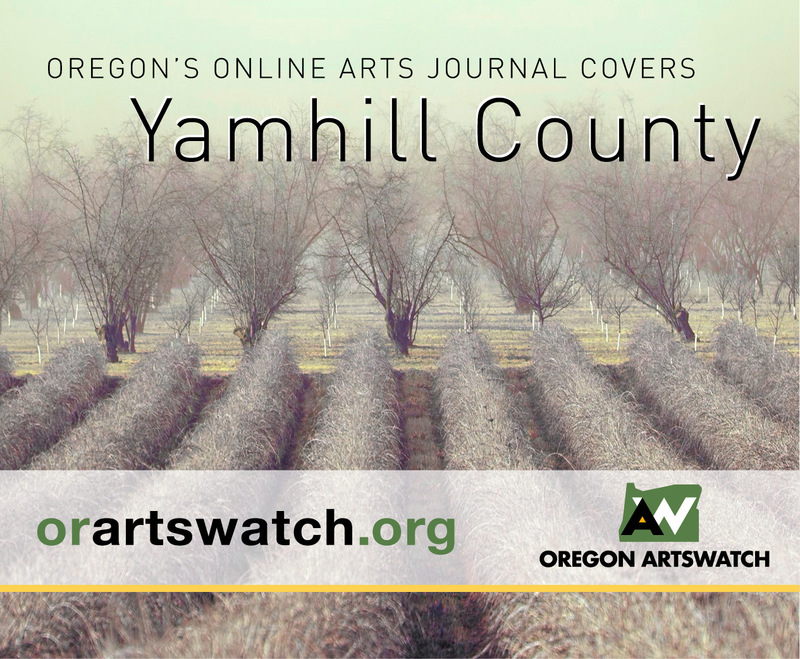 New York-based artist services organization The Field will hold its biannual national conference in Portland this year. Field Network members from around the U.S., along with local artists and culture workers, will consider the roles of feedback and technology in contemporary culture through a series of performances, discussions, and mixers. Performances include turbulence: part 1 by dance artist Sarah Brahim, which addresses the constant pressure that women of color face to explain themselves, and NOISE/DATA, by drag artist and dancer Kaj-anne Pepper, whose work is meant to be an open-ended conversation between viewer and performer, technology and text. Check the website for registration and other information. TripTheDark Dance Company goes to the movies in “A Little Less Human: A Ghost Story.” Photo courtesy of TripTheDark. 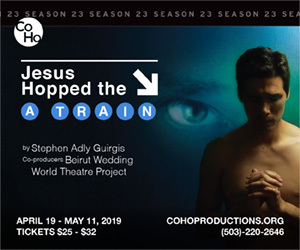 TriptheDark Dance Company, through the medium of contemporary dance, tells the story of a couple experiencing love, loss, and separation (the piece is based on the 2017 movie A Ghost Story). 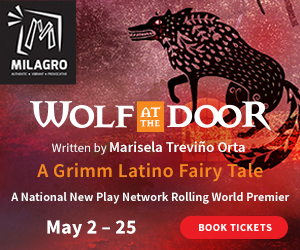 Now in its ninth season, TriptheDark mined popular culture in its previous productions as well, from the fairy tales that inspired The Wolf Child’s Mother and Just Right to the popular ’80s films that thread through I Carried A Watermelon and Labyrinth. ELa FaLa Collective dancers Emily Running and Alaina Meyer perform at this year’s X-Posed showcase. Photo by BMAC Photography. At the ninth annual X-Posed showcase, Polaris Dance Theatre (directed by Robert Guitron) and ELa FaLa Collective (directed by Barbara Lima) will present new work highlighting young voices and reflecting on contemporary cultural issues. Lima, a Brazilian choreographer, aims to bridge art, technology, culture, education, and science through her work, while Guitron creates emotional narratives that address societal and cultural changes through a variety of contemporary dance forms. NW Dance Project revisits Ihsan Rustem’s “Yidam,” which was spurred by his journey into Buddhism and meditation. Photo by Blaine Truitt Covert. Cypher Culture Conference co-founder Decimus Yarbrough dancing in Seattle at the Dynasty Room. Photo taken by Penny Ly. Over four days and four nights, Oregon’s Cypher Culture Conference will educate, unify, and strengthen the Pacific Northwest urban dance community through panel discussion panels, parties, battles, workshops, and performances. Check the website schedule for the full conference details and event locations. Dancers Sissy Dawson, Kasy Martinez-Musgrave, Megan Memphis, Patsy Morris, Nicholas Petrich, Willow Swanson, and Elizabeth Whelan perform in the Kelly Koltiska/Amelia Unsicker concert Pathways. Photo courtesy of Kelly Koltiska and Amelia Unsicker. 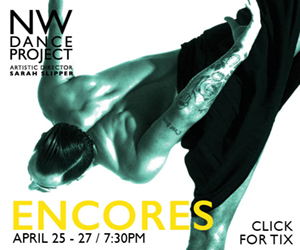 Portland choreographers Kelly Koltiska and Amelia Unsicker share an evening of choreography that examines the connections we build throughout life, how we affect one another and how internal and external stimuli shape how we present ourselves to the world. Performers include Sissy Dawson, Kasy Martinez-Musgrave, Megan Dawn, Patsy Morris, Nicholas Petrich, Willow Swanson, and Elizabeth Whelan. Koltiska is a freelance choreographer, dancer and teacher. After receiving her Bachelor of Fine Arts in Choreography and Performance from the University of Montana, she moved to Portland and performed with Top Shake Dance and Happy Dog. Koltiska teaches community focused classes through (com)motion and Portland Parks and Recreation. Unsicker, a Portland native, received her Master of Fine Arts in Dance from the University of California, Irvine, and has danced with Pacific Festival Ballet, Ballet Fantastique, Agnieszka Laska Dancers, and Jamuna Chiarini, to name a few. Tap virtuoso Savion Glover visits with a funk band and a dance ensemble. Photo by Kimberly White, courtesy of Savion Glover Productions. The Tony Award-winning choreographer and tap virtuoso Savion Glover will perform with a six-piece funk band, a vocalist, and a tap ensemble in this two-night run. Glover, now celebrating his 37th year as a performing artist, is known for the Broadway shows Bring in ‘Da Noise, Bring in ‘Da Funk, The Tap Dance Kid, Black & Blue, and Jelly’s Last Jam; the movies Tap and Bamboozled, and Happy Feet and Happy Feet 2, which he choreographed. Parsons Dance members Sarah Braverman, Ian Spring, Elena d’Amario, Geena Pacareu, Omar Roman De Jesus, Eoghan Dillon, Justus Whitfield, and Zoey Anderson perform “Ma Maison.” Photo by Lois Greenfield. The company, founded in 1985 by former Paul Taylor dancer David Parsons and Tony Award-winning lighting designer Howell Binkley, is known for athletic prowess, technical skill, and exuberant choreography. Program highlights include Parsons’ Whirl Away and Trey McIntyre’s Ma Maison, both of which salute New Orleans jazz with music by Allen Toussaint and Preservation Hall Jazz Band; Parsons’ Microburst (2018), a fiery, rhythmic work set to an original score by tabla player Avirodh Sharma; and Caught, Parson’s signature work, in which a well-timed strobe light creates the illusion that the solo performer never touches the ground. Cuban-American dancer/choreographer Rosie Herrera and her company offer a public lecture-demonstration at Reed College. Photo courtesy of Rosie Herrera. Rosie Herrera, a Cuban-American dancer/choreographer and the artistic director of Miami’s Rosie Herrera Dance Theater, comes to Reed College for a five-day residency culminating in a lecture-demonstration that’s open to the public. Herrera stages dance theater, operas, cabarets, short films, and music videos, and directs a diverse ensemble of performers and creators who come from theater, performance art, opera, drag, and contemporary ballet. Japanese botoh dancer Kudo Taketeru in his work “The Candy Explosion.” Photo courtesy of The Headwaters Theatre. 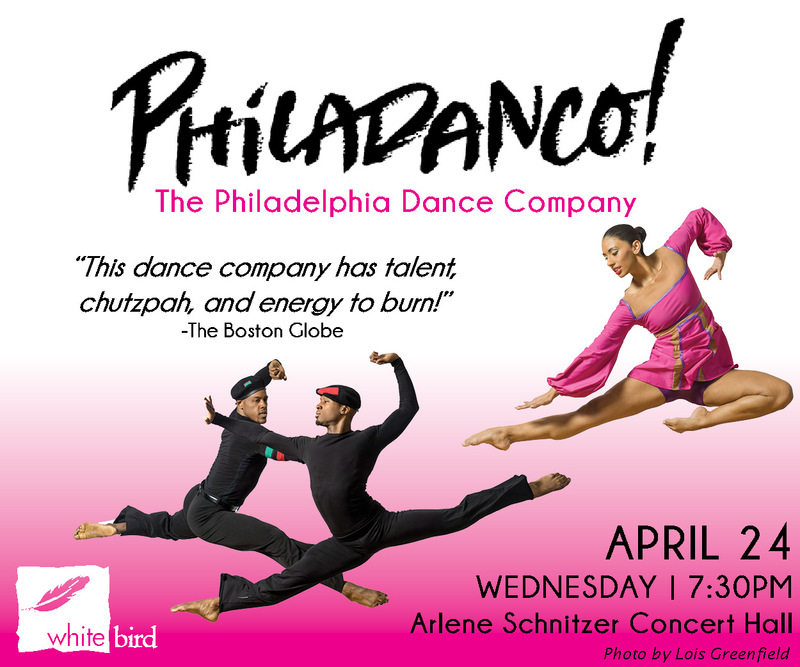 Philadanco!, the Philadelphia company founded by Joan Myers Brown in 1970, makes its Portland debut this month. Photo by Lois Greenfield. Bolshoi Ballet dancers Nina Kaptsova (as Rita) and Mikhail Lobukin (as Yashka) perform in “The Golden Age.” Photo by Mikhail Logvinov. The Bolshoi is the only company that performs this ballet, which debuted at the Kirov in the 1930s and was criticized by the Soviet government for its treatment of class war. Former Bolshoi Ballet artistic director Yuri Grigorovich revived it in 1982 and revisited it in 2006, using Shostakovich’s jazzy score and setting the action in a 1920s Russian seaside town, where a love story unfolds among criminal elements and the nouveau riche against the backdrop of the country’s New Economic Policy. Prior to the Eugene Ballet’s production of The Firebird, Eugene Ballet music director Brian McWhorter hosts a discussion exploring the #MeToo movement, challenges to age-old ballet narratives, and questions about race, gender roles, sexism, equality, eating disorders, and abuse in ballet. Eugene Ballet resident choreographer Suzanne Haag, whose Firebird is making its debut, will be a guest speaker. From left: Avery Reiners, Michael Linsmeier, and Chauncey Parsons in Nicolo Fonte’s “Giants Before Us.” Photo by Blaine Truitt Covert. 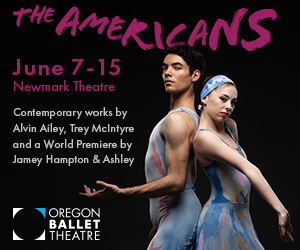 Oregon Ballet Theatre artistic director Kevin Irving has curated an evening of work demonstrating the creative scope of contemporary ballet. This will also be the final show for OBT principal dancer Chauncey Parsons, who will retire this month after dancing 11 seasons with OBT. Finally, Spanish choreographer Nacho Duato’s Jardi Tancat pays homage to Catalonia: it’s accompanied by Maria del Mar Bonet’s haunting rendition of Catalan folk songs. Duato made Jardí Tancat for a choreography competition in 1983; since then, ballet companies worldwide have added it to their repertoires. Three dancers form the title character in Eugene Ballet resident choreographer Suzanne Haag’s reimagined “The Firebird.” Photo courtesy of Eugene Ballet. Eugene Ballet’s 40th anniversary season concludes with the world premiere of The Firebird, Eugene Ballet resident choreographer Suzanne Haag’s contemporary reimagining of the 1910 Michel Fokine/Igor Stravinsky production. All of the creative details involved in the making of The Firebird, from the costumes by San Francisco-based designer Susan Roemer of S-Curve Apparel & Design to the music, directed by Brian McWhorter, and Haag’s research and concepts behind the ballet, are all captured in Gary Ferrington’s preview for Oregon ArtsWatch, which you can read here. The program will also feature Italian Suite, a neo-classical ballet choreographed in 1983 by Joffrey Ballet co-founder Gerald Arpino. Welcome to DanceWatch for March, the month that enters like a lion and retreats like a lamb, or so they say. While it’s still cold and dark outside, you can think of this month’s dance offerings like a warm winter stew: hearty, rich, varied, and soul-soothing. And don’t forget that spring is a mere 22 days away! I didn’t know this. Did you? I was struck. I rarely hear about the native tribes of Portland and the surrounding areas and I even more rarely see dance representing these cultures. I feel weird about this. I can’t go back to not knowing. In fact, this information made me want to learn more about Native American dance artists in Oregon and beyond, and recently, I did. 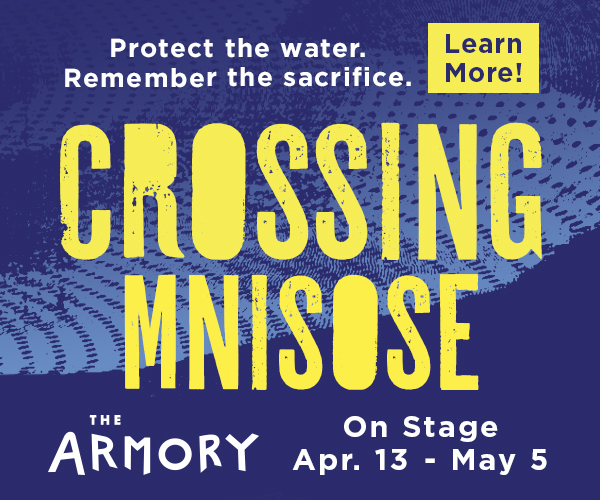 This past Sunday, I attended the Alembic artist performance at Performance Works NorthWest, where choreographer Olivia Camfield, a resident artists and a Muscogee Creek Tribal member from Texas Hill Country, choreographed and performed a powerful contemporary piece about indigenous people reclaiming their narratives. She welcomed everyone with this statement, a reminder to be respectful when we’re visiting someone else’s territory. Camfield is also a member of Dancing Earth, a Bay Area company that focuses on indigenous dance. It’s represented by my friend and Portland resident Andre Bouchard, who’s a good source of information on Native American dance and culture. 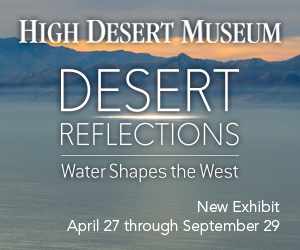 Born and raised on Montana’s Flathead Reservation, of Kootenai and Ojibwe descent, Bouchard is nationally recognized for his work in Native American contemporary performing arts. 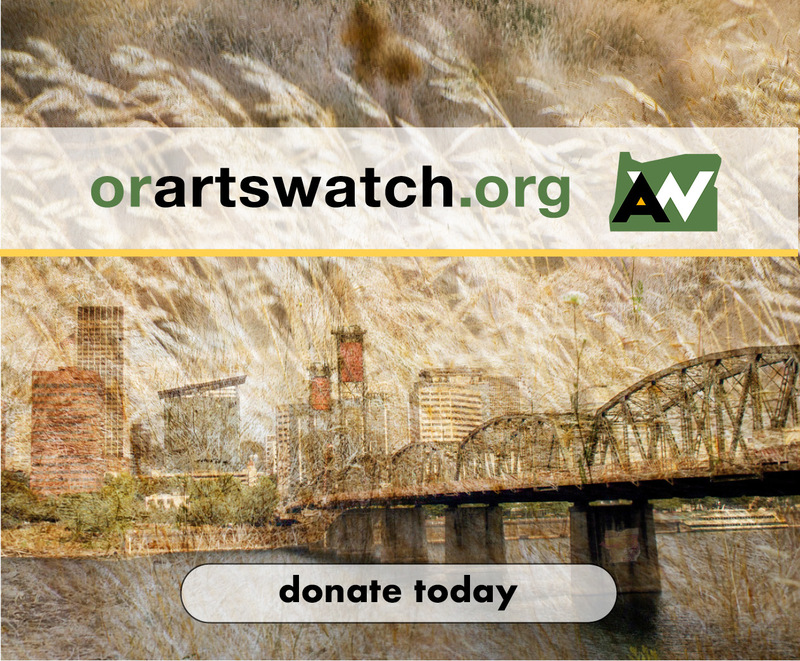 In 2001, he founded Walrus Performance Productions, a nonprofit dedicated to providing opportunities to choreographers, playwrights, and multi-disciplinary performing artists in the Pacific Northwest. Bouchard told me that there are 573 federally recognized tribes in the U.S., that they are not necessarily similar, and that their members prefer to be recognized by their tribe name of origin rather than by the general term Native Americans. He also said that because of changes in laws, policy, and funding, these artists are thriving and their work is enjoying a resurgence and being recognized nationally and internationally today. This August, Bouchard will be a keynote speaker at the Asia Pacific Dance Festival Conference at the University of Hawai‘i at Manoa, where he will present a paper on contemporary Native American dance. 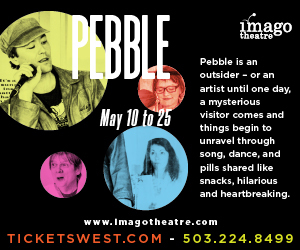 Also last week, ahead of their company’s performance in Hillsboro (see below), I had a wonderfully engaging phone conversation with Painted Sky Northstar Dance Company executive producer Mary Hager and dance director Damon Keller. The company, established in Portland in 2005 and composed of 12 or so dancers, is an intertribal organization that honors Native American culture by building awareness through performance and education. The company has taught and performed nationally and internationally; its repertoire includes traditional dance forms as well as blended contemporary styles. Its goal is to break down stereotypes, myths, and urban legends about Native American people, and to build bridges and create friendships. I am looking forward to seeing this performance, meeting Hager and Keller in person, and seeing how these ideas translate onstage. As I work to de-colonize my own dancer body (and this column) of Western ideology, I’m excited to learn more about Native American culture and dance, and will continue to share what I discover along the way. Painted Sky Northstar Dance Company (pictured: Aiyanna Bennett) performs traditional and blended contemporary dance styles. Photo courtesy of Mary Hager. Sankalpa Dance Ensemble members Sweta Ravisankar, Sridharini Sridharan, and Yashaswini Raghuram embody feminine power. Photo by Gidu Sriram. Bharatanatyam dance company the Sankalpa Dance Ensemble presents Shakti, an evening of five dances created around the theme of feminine energy and power, The company is directed by, and features, dancers Sweta Ravishankar, Sridharini Sridharan, and Yashaswini Raghuram performing to live music. The program opens with a dance dedicated to the goddess Parvati, wife of the Hindu god Shiva; she is the goddess of fertility, love, beauty, marriage, children, and devotion, and represents divine strength and power. The second dance is a varnam, the main dance in a typical Bharatanatyam concert, which emphasizes nritta (footwork) and abhinaya (expressions). This varnam praises the beautiful fish-eyed goddess Meenakshi. The third dance is dedicated to Devi, the Mother Goddess who speaks beautifully, walks majestically, and epitomizes music and the arts. She takes care of the afflicted, rids people of sin, and is a delight to all. The program also features a dance depicting pure love and compassion, a humble prayer to the mother as goddess. The finale is set to a collection of verses written by Tamil poet and Indian independence activist Mahakavi Subramania Bharati, also known as Bharathiyar, who was a vocal supporter of women’s rights in the late 1800s and early 1900s. Bharathiyar envisioned feminine power transforming the earth into a better place and uplifting mankind. Sisters Willow and Marley Swanson pair contemporary dance and martial arts at A Taste of Dance: A Wine and Dance Pairing. Photo courtesy of Willow Swanson. As part of Chapel Theatre’s Second Sundays Winter Performance Series, choreographers whose work spans flamenco to tap will describe their artistic processes and Wine:30 wine steward Lenny Bennett will pair wine with each of the dances on the program, explaining how they relate to, and enhance, one another. Featured choreographers include Stephanie Seaman, Willow Swanson, Jessica Zoller, and Elena Villa. Shaking The Tree Theatre, 823 SE Grant St. The work—which explores beauty, humor, rebelliousness, and awkwardness—pairs task-like movement with the unorthodox use of objects including a vinyl tarp, a twig, stones, a lamp worn on the body, cassette tapes, and multiple spools of thread. 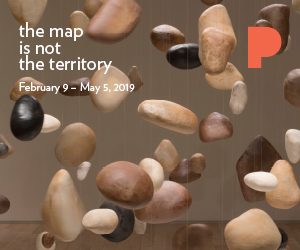 The piece, Austin says, will “yield to poetically and emotionally charged movements, text, and images—evoking vulnerability and hints of mortality.” The piece will be framed by field recordings by Juniana Lanning and video by Kelly Rauer. Austin has been making dance and performance works since 1983. She was active in the dance and performance communities in New York City during the 1980s, lived and worked in Mexico during the mid-1990s, and relocated to Portland, Oregon, in 1998, where she established PWNW and Linda Austin Dance. I interviewed her in 2015 when PWNW turned 15. You can read our conversation here. Oluyinka Akinjiola, Decimus Yarbrough, Michael Galen, Bethany Harvey, and Jamie Minkus revisit “A Midsummer Night at the Savoy.” Photo by Andy Batt. Self Enhancement, Inc., 3920 N. Kirby Ave.
Set in Harlem’s historic Savoy Ballroom, but using Shakespeare’s A Midsummer Night’s Dream as the dramatic framework, Rejoice! Diaspora Dance Theater weaves together four contemporary choreographers’ work (Oluyinka Akinjiola, Decimus Yarbrough, Michael Galen, and Jamie Minkus) into one piece that highlights the massive contributions African-American artists have made to the American cultural landscape. Actor Kevin Jones narrates as Langston Hughes. Queer burlesque performer and voguer Bouton Volonté shares new work at the N.E.W. residency show. Photo by Ms. Lopez. The 11th New Expressive Works residency performance will showcase work by its newest resident choreographers, Bouton Volonté, Sarah-Luella Baker, Kayla Banks, and Hannah Krafcik with Emily Jones. Volonté, a queer burlesque performer and voguer, will perform LABOR,, a love letter. In Without a Map, Baker, a multi-disciplinary artist, combines original music and movement with theatricality to create non-linear storylines where the personal and political intersect. Banks, a Colorado native who danced professionally with Impact Dance Company and trained with NW Dance Project, will present the contemporary dance work Mixology. Krafcik and Jones, who met three years ago and began combining their interests in writing, somatics, bodywork, and a variety of dance practices into a practice in Krafcik’s living room, present their work switch. The residency program, which N.E.W. founder Subashini Ganeshan began in 2012, supports the making of dance in all genres. The program offers four choreographers per session 144 hours of free rehearsal space over six months; “fieldwork,” or peer-to-peer feedback sessions facilitated by dance artist Katherine Longstreth; and a fully produced, ticketed performance at the end. Compagnie Marie Chouinard draws from the poetry and paintings of Belgian artist Henri Michaux in “Henri Michaux: Mouvements.” Photo courtesy of White Bird. Chouinard makes a fourth visit to Portland through White Bird with a two-part program. One part is Henri Michaux: Mouvements, a 35-minute one-act ballet that she choreographed between 2005 and 2011, inspired by the India ink drawings and poetry of Belgian artist Henri Michaux. The other part is 24 Preludes by Chopin, a work she created in 1999, inspired by Chopin’s 24 Preludes, Op. 28. 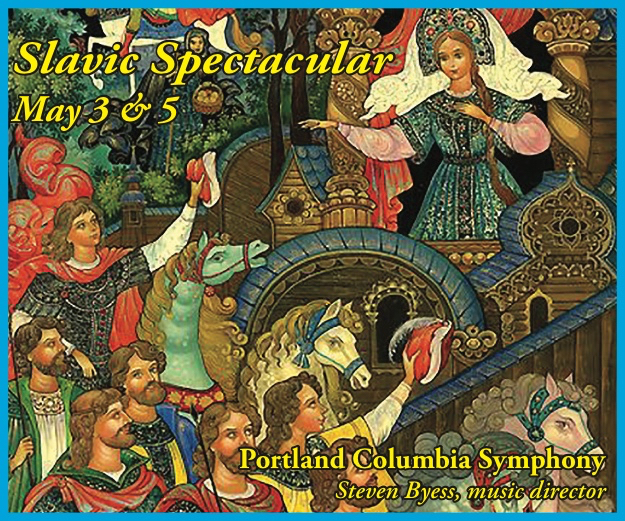 She has fashioned, she says in her description, “ a composite dance consisting of solos, duos, trios, and group movements that marry gentleness with strength, and subtlety with rawness.” Portland State University music professor and pianist Susan Chan will play the preludes live. Send in the clowns, part 2: Cirque du Soleil returns with “Corteo.” Image courtesy of Cirque du Soleil. Moda Center, 1 N. Center Ct. St.
PDX Contemporary Ballet dancers find symbolism in a white dress this season. Photo by Andy Batt. PDX Contemporary Ballet’s artistic director Briley Neugebauer chose the image of a white dress as an overarching theme for the company’s 2018-2019 season. To Neugebauer, the dress, which appears onstage, symbolizes womanhood, tradition, potential, and the passage of time. In Materialize, the season’s second installment, company dancers Muriel Capdepon, Victoria Lauder (who also sewed the dress), Tessa Salomone, and Katherine Evans have created four new works based on their own interpretations of what the white dress symbolizes, from virgin bride to rampant consumerism. Ballet Fantastique goes adventuring in “The Odyssey.” Photo courtesy of Ballet Fantastique. Choreographers Donna Marisa and Hannah Bontrager retell Homer’s epic poem The Odyssey using the language of contemporary ballet. Featuring music from Lyre ‘n’ Rhapsody and Audiomachine, and live looping from electric violinist Cullen Vance, the ballet chronicles a great warrior hero’s journey home and the trials and tribulations that journey entailed. Eugene Ballet and the University of Oregon School of Music and Dance play well together in Interplay. Photo by Aran Denison. 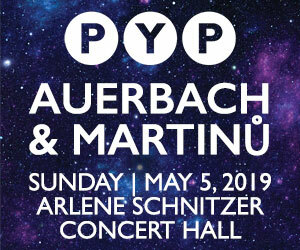 Interplay, the way two or more things have an effect on each other, is both the title and the subject of a new collaboration between Eugene Ballet and the University of Oregon School of Music and Dance. 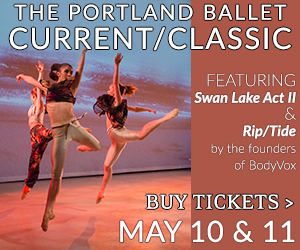 The program includes choreographic work from University of Oregon associate professor of dance Walter Kennedy, dance professor Steven J. Chatfield, associate professor of dance Shannon Mockli, and dance instructor Sarah Ebert. 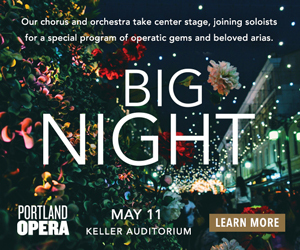 Eugene Ballet is represented be resident choreographer Suzanne Haag, associate artistic director Jennifer Martin (staging Marius Petipa), and artistic director Toni Pimble. 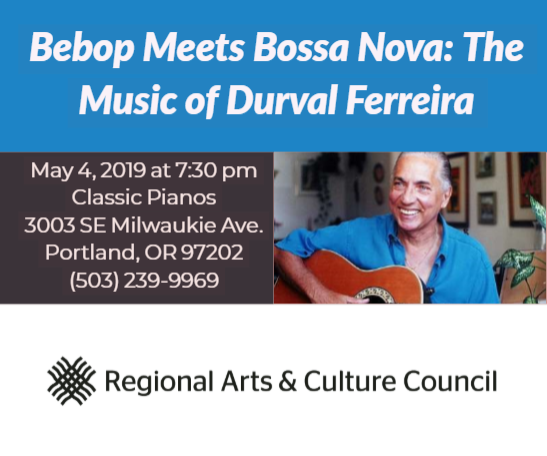 Eugene Ballet and UO dancers will share the stage in Kennedy’s Whorl, Ebert’s The Exchange and Haag and Mockli’s Between Your Eyes and You, which they created using music from Maurice Ravel’s Miroirs and spoken word read by actors Craig Phillips and Milagro Vargas. 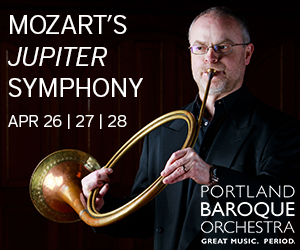 UO dancers will perform Chatfield’s Bach to Bach, while Eugene Ballet dancers will perform Petipa’s Don Quixote Grand Pas de Deux and a pas de deux from Common Ground, a sensual contemporary ballet Pimble choreographed for Atlanta Ballet in 1991. Wake up! The Bolshoi Ballet brings “The Sleeping Beauty” to the big screen. Photo courtesy of Pathe Live. The Bolshoi Ballet presents The Sleeping Beauty, filmed live Jan. 22, 2017, and screening at a movie theater near you. Choreographed in 2011 by Bolshoi Ballet ballet master and choreographer Yuri Grigorovich after Petipa, the ballet tells of the evil fairy Carabosse (played by Alexei Loparevich), who curses Princess Aurora (played by prima ballerina Olga Smirnova) to a 100-year sleep, from which she is awakened by a magical kiss. Performed to Tchaikovsky’s score, the ballet features dancing by memorable characters including fairies, Little Red Riding Hood, and Puss in Boots. You don’t often get to see the mechanics behind the theater magic, but in this production it’s all out in the open. The curtains are drawn to reveal the performers or riggers who hold the ropes propelling the central characters. The butterfly is attached to a four-pulley system that hoists her up and flies her around; the crab monster only needs a two-pulley system, because her movement is lower to the ground. The riggers need to remember the choreography and the timing of the ropes: it’s just as entertaining to watch these folks pulling, flying, and tumbling along with the performers. The whimsical, gravity-defying creatures that slither, bounce, float, and pounce through It’s Like That are enhanced by imaginative costuming, music, and lighting. The show is designed to be accessible to deaf and hard-of-hearing viewers (and performers, two of whom are deaf). Composer de Bastion, a hardware/software designer, conceptual artist, and musician, founded CymaSpace, which specializes in equipment that translates audio information into sight (through light) and touch (through vibration). The music he has envisioned for It’s Like This, both improvised and composed, combines electronic and guitar sounds, he told me when we spoke through an ASL interpreter on Monday. A group of volunteers and a programmer worked with him on the software program he uses to track the music when he plays. Viewers will be able to feel the sound, thanks to a mechanism installed under some seats that creates low-frequency vibrations. American Sign Language interpreters will work all of the performances, and LED light panels installed on the back wall of the stage will use color to represent tone and blinking to represent rhythms. Echo Theater Company will present its new work at Essentials, a program it will share with Tempos Contemporary Circus’ Underneath, a piece about living a good and fearless life. Essentials lasts an hour in total and will take place at Echo Theater, 1515 SE 37th Ave. The MAC Dancers perform “The Project Approach” at Groovin’ Greenhouse Feb. 2. Photo courtesy of Polaris Dance Theatre. The Fertile Ground Festival of New Works, including its dance-centric arm, Groovin’ Greenhouse (hosted by Polaris Dance Theatre), unfolds in venues around town with new performance works in various stages of development. Choreographers and companies presenting movement-related work in this year’s festival include Novoa Dances, Michal Schorsch, Hannah Downs, Polaris Company, Polaris Junior Company, NEO Youth Company, NW Fusion, the MAC dancers, Vitality Dance Collective, ELXR Dance Company, A-WOL Dance Collective, PDX Contemporary Ballet, ELa FaLa Collective, and Ballet Fiesta, Echo Theater Company, Tempos Contemporary Circus, and Living Room Circus. “The Cutting Room” by BodyVox Dance Company. Photo courtesy of BodyVox. Multiple movie genres (action, comedy, drama, sci-fi) and memories of favorite films inspire BodyVox’s cinematic, virtuoustic dance performance The Cutting Room. Former BodyVox dancer Jonathan Krebs returns to perform with the company; look for new company member Jessica McCarthy and apprentice Coltrane Liu as well. Sankalpa Dance Ensemble is one of 11 groups performing at the fundraising event Nrityotsava. Photo courtesy of Sweta Ravisankar. Kalakendra’s mega Indian classical and folk dance fundraising event will feature 11 area professional and student groups performing dance styles including Bharatanatyam, Kathak, Gaudiya Nritya, Odissi, Kuchipudi, Assamese, Punjabi, and more. 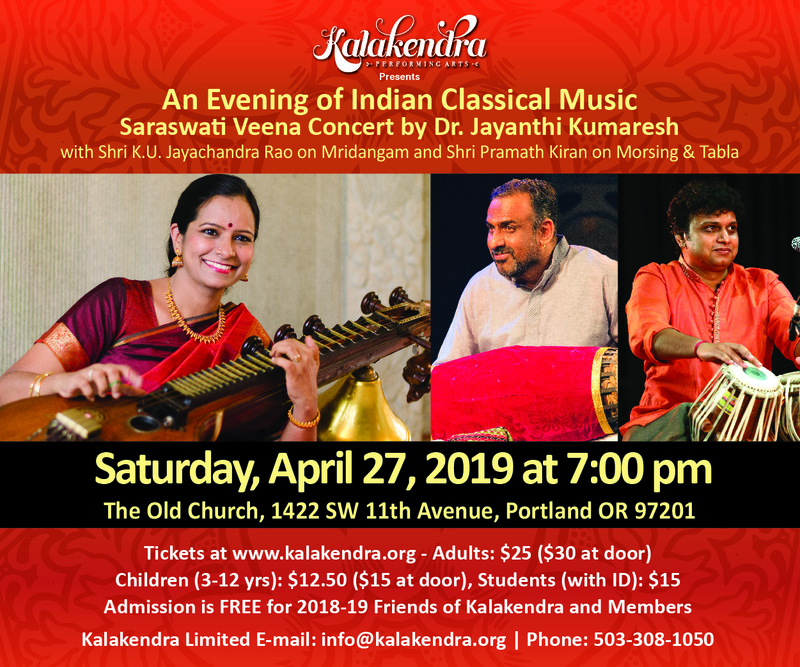 The Portland-based Kalakendra promotes performing arts from across the Indian subcontinent through classical dance and music performances. Kudo Taketeru performing at The Tiny Theater PDX. Photo by Sophia Emigh. The Tiny Theater PDX, 3306 SE 65th Ave.
New to the performance scene is The Tiny Theater PDX, a home for radical performance curated by Anet Margot Ris, the theater’s founder and self-described “artistic directress.” Ris, a multi-disciplinary performer and former member of Daniel Nagrin’s The Workgroup and The Rudy Perez Performance Ensemble, among others, launches the theater’s 2019 Sunday series The Art of Seeing with The Masculine Dancing, an evening of film and video depicting 20th- and 21st-century male dancers/choreographers. Screenings will be followed by a conversation about how the masculine is portrayed. The series continues through May with sessions devoted to The Feminine Dancing, clowning, drag, and performance art. Vancouver, B.C.-based Shay Kuebler/Radical System Art brings its cross-disciplinary work “Telemetry” to Portland. Photo courtesy of White Bird. Vancouver, B.C.-based choreographer Shay Kuebler and his company Radical System Art draw from martial arts, hip-hop, contemporary ballet, modern and tap to create theatrical, highly physical work. In the 65-minute work Telemetry, Kuebler and award-winning tapper Danny Nielson (who performs as part of the eight-member cast and contributes the work’s rhythmic score), explore the science of telemetry, a communications process by which measurements and other data are collected and transmitted to receiving equipment for monitoring. Kuebler extends that idea to the human body, using it, he says, as “a device—a tool—that translates, relays, and communicates intangible and unseen processes. Dance [uses the] body [to] translate an audible form into a visual form.” In short,Telemetry focuses on how the human body serves as a kind of antenna for sound, energy, and memory. DanceWatch 2019: can you feel the love? Welcome back, dance lovers, to a brand-new year of dance in Oregon. 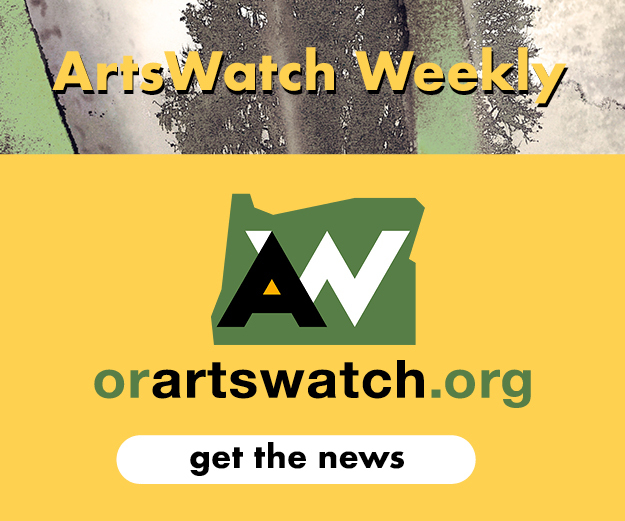 DanceWatch 2019 opens with two dance-centric productions that promote the visibility of female artists and artists of color. These productions embrace global culture, mark the intersection of art forms, explore universal themes, and feature both inspirational and aspirational qualities. The first production is Indian Music Now, a collaboration among Bharatanatyam dancer Subashini Ganesan and composers Reena Esmail, Asha Srinivasan, Shirish Korde, and Nina Shekhar. 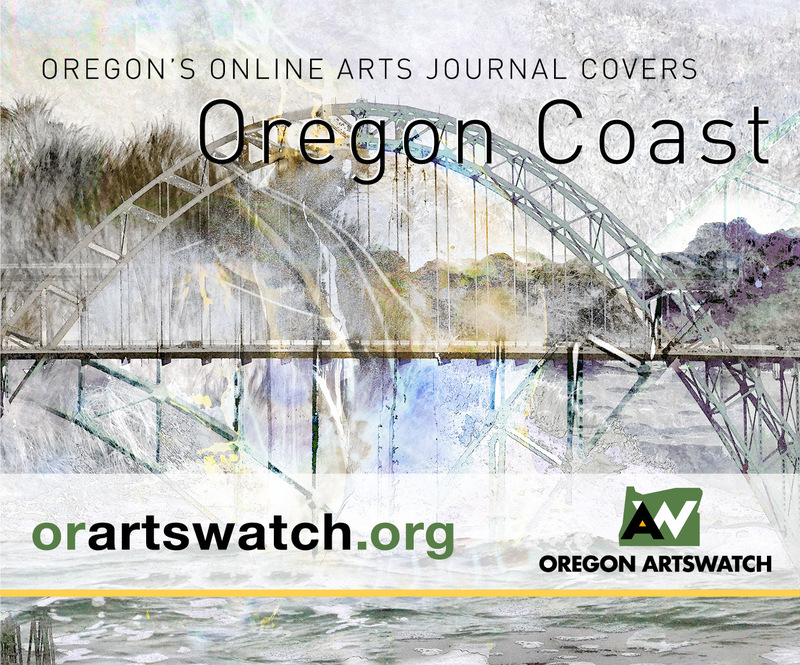 Produced by Third Angle New Music, the show opens January 10 at Portland’s New Expressive Works. Indian Music Now reflects the contributors’ experiences growing up within Indian and American cultures. The show features a dance performance by Ganesan and musical performances by Louis DeMartino on clarinet, Branic Howard on electronics, and Sarah Tiedemann on flute. One of India’s eight classical dance forms, Odissi is not often performed locally. Extraordinary performances made the case for changing that. This fall, Portland, Oregon, saw its first-ever Odissi dance festival, and it was extraordinary. The 8th Kelucharan Guna Keertanam (it has been offered previously in major Indian and U.S. cities), was produced as a fundraiser for, and in partnership with, the Pratham Education Foundation. Directed by Odissi dancer and choreographer Aparupa Chatterjee, it paid homage to the late Shri Kelucharan Mohapatra, the legendary Indian classical dancer, guru, and exponent of Odissi dance, credited with helping revive and popularize this ancient form in the 20th century. The festival, held Sept. 23, featured Mohapatra’s son, Ratikant Mohapatra; Chatterjee and her Texas-based ensemble, the Odissi Dance Company; and Washington State’s Urvasi Dance Ensemble, directed by Ratna Roy. Because Odissi is deeply rooted in Jagannath culture and Hindu religious practices, using a church as a performance venue made sense. The Portland program took place downtown in the First Congregational United Church of Christ. This beautiful, 1800s-era Venetian Gothic church has stained glass windows, a bell tower, and an elaborate pipe organ, encased in finely carved dark wood, that reaches up toward the domed ceiling. This backdrop rivaled the majesty of the Odissi dance tradition itself. Odissi Dance Conpany’s Artistic Director Aparupa Chatterjee with Tanvi Prasad, Divya Srinivasa, Divya Chowdhary, Swati Yarlagadda, and Ramyani Roy. Photo by Sarathy Jayakumar. One of India’s eight classical dance forms, Odissi originated in India’s eastern state of Odisha and draws from the Mahari temple dance tradition, the Gotipua tradition (male dancers who dress as women), and the Bandha Nritya and Chau martial arts traditions. It also draws on information gleaned from the relief sculptures on temple walls and from Natya Shastra, a Sanskrit text on the performing arts written by Bharata Muni sometime between 200 BCE and 500 CE. After India’s independence from Great Britain in 1947, there was a movement to revive Indian cultural traditions that had been suppressed and even criminalized by the British during their reign. Although Odissi had existed long before, it was formalized in the 1950s by a group of Orissan artists called the Jayantika. Odissi as we now know it combines emotional expression with intricate footwork, sculptural poses, and storytelling. In Odissi, every part of the body is involved in the dance, from the eyes to the toes, and all the parts move independently. Odissi has two stances, chaukha and tribhangi, upon which all of the dances are built. Chauka is a wide, deeply bent, turned-out position, very similar to ballet’s second position. Tribhangi means “three parts break” and consists of bends at the neck, waist and knee, creating an S curve in the body. There are 10 steps each in chauka and tribhangi that correspond to the number of beats in each step. ODC presented six dances, performed by Chatterjee and dancers Aswati Nandakumar, Divya Chowdhary, Divya Srinivasa, Ramyani Roy, Sadrita Mondal, Swati Yarlagadda, Tanvi Prasad, Veena Surya, and Yashaswini Raghuram. Dances included two works by Guru Kelucharan Mohapatra: Dashavatar, a depiction of Lord Vishnu’s ten avatars, and Vande Mataram, an invocation and tribute to mother India. Ratikant Mohapatra’s Patadeep Pallavi and Natangi were both pure technical dance without narrative. Chatterjee’s Jo bajhe Hari Ko Sada described Krishna or god as the ultimate goal of one’s life, and her work with Ratikant Mohapatra, Ye Ho Vithala, described Krishna’s beauty. Odissi Dance Company dancers Divya Srinivasa, Yashaswini Raghuram, Swati Yarlagadda, Ramyani Roy, Tanvi Prasad, Aswati Nandakumar, and Veena Surya. Photo by Sarathy Jayakumar. Because of the synchronicity in their movements and form, you might assume that the ODC dancers live near each other and practice together often. But they all live in different states around the U.S. They learn from Chatterjee, practice daily on their own, and rehearse together several times a week online. Considering that most Odissi dance is performed solo, it’s a powerful experience to see an idea multiplied by a full company: it makes statements and ideas that much stronger. The choreography, which felt fresh and new but stayed true to traditional Odissi vocabulary, is a credit to the continued efforts of Chatterjee and Ratikant Mohapatra to contemporize Odissi. It played with patterns, formations, and relationships, creating tableaux that brought to life the stories and personalities of Hindu mythology. ODC performed together seamlessly as a company; the choreography, in fact, isn’t intended to draw attention to any one individual. But I will say that my eye was often drawn to Chatterjee, an exceptional dancer and mesmerizing performer. She fully embodies the form and expresses an array of emotions while she dances. For her, performing seems as natural as breathing. I also enjoyed Chowdhary, whose serene facial expressions and soft lyrical movements, juxtaposed with her grounded presence, made for a dynamic performance. Raghuram is also an exceptional performer whose movements are quick and strong as well as soft and lyrical, sometimes reminding me of a hummingbird. Odissi dancer Ratikant Mohapatra in “Shabari.” Photo by Sarathy Jayakumar. Ratikant Mohapatra choreographed and performed the solo Shabari, about a woman who, after a lifetime of waiting, finally meets Lord Rama. Mohapatra’s quiet, introspective, unadorned performance moved me to tears. His expressions and gestures very clearly depicted Shabari’s longing and love for Lord Rama. I was amazed that such a “simple” dance could so powerfully transcend time and geography to communicate so effectively. The Urvasi Dance Ensemble performed two works; Bandha Thali Sthayi, which combines three Odissi dance styles (Sthayi, Bandha, Thali), and Shakti, a depiction of primal female power inspired by Roy’s research of the Yogini and Shakti temples in Odisha. The choreography is by Roy and Guru Pankaj Charan Das, and is derived from the Mahari temple dancer tradition. Guru Pankaj Charan Das was the adopted son of an original mahari and was one of the dance gurus who helped reconstruct and popularize Odissi. The performers–Marissa Betz-Zall, Moria Chappell, Sukanya Nanda, Douglas Ridings, Jamie Lynn Colley, Ashlesha Mishra, Megha Mishra, and Suma Mondal–wore red-and-black Odissi costumes, a nice visual counterbalance to ODC’s brighter, jeweled-toned costumes. Urvasi Dance Ensemble’s Moria Chappell, Douglas Ridings and Marissa Betz-Zall. Photo by Sarathy Jayakumar. Toward the end of Bandha Thali Sthayi, the Urvasi dancers broke from the dancing and collected the medium-sized brass plates they had entered with; these held two smaller plates and two candles. After splitting into two lines, the three dancers in the back row balanced the smaller plates on their hands while spinning on their knees. Ridings and Chappell, in the front row, performed headstands on the plates while slowly moving their legs in and out of splits in the air. Viewers were so wowed by Urvasi’s acrobatic skills that they jumped out of their seats and rushed toward the stage to take pictures. Shakti was no less resplendent, with intense energy, spinning knee crawls, yogic hand balances, dramatic backbends, and a tableau depicting the multi-armed warrior goddess Durga; another form of the goddess Shakti. In a dramatic moment, Ridings, lying with his back on the floor, held Chappell above him by her shoulders and hips in a flying warrior yoga pose, her arms outstretched, back arched, and legs pointed toward the sky in a diamond. Urvasi Dance Ensemble’s Moria Chappell and Douglas Ridings. Photo by Sarathy Jayakumar. Odissi dance demands athletic rigor, grace, emotional and spiritual investment, and strong technique. (Full disclosure: I study Odissi dance with ODC member Yashaswini Raghuram). In Odissi, the dancer is the personification of the music. Whenever I watch an Odissi dancer, I imagine that I am seeing the sounds of the instruments emanating from the movements of the dancer’s body. I see the drum when the dancer’s feet strike the floor; the softer, more melodic sounds of the flute and the tanpura when the torso and arms move; and the metallic ding of the rhythmic brass cymbals when a dancer’s head moves side to side, causing the jhumka earrings to sway. I hope this festival will continue here in Portland, grow to include more styles of Odissi dance, partner with other cultural organizations to create new audiences, and match the variety and popularity of established Indian dance festivals like New York’s Erasing Borders and Drive East.